Local SNP MSP Stewart Stevenson has highlighted figures that show a steady decline in the number of offences for driving under the influence since tough action was taken by the Scottish Government in 2014. In 2014 the SNP Government introduced a reduction in the drink driving limit in Scotland to 50mg of alcohol in 100ml of blood. Latest statistics show that convictions for driving under the influence of drugs or alcohol between 2014 and 2017 dropped by 23% compared with the 2011 – 2014 period. “The SNP’s tough action on drink driving has led to a substantial fall in offences since the legal limit was lowered in 2014. “Everybody knows that driving under the influence is against the law and public attitudes to drink driving have changed dramatically over the last few decades. “The SNP is committed to making Scotland safer – there are 900 more police officers compared to when the SNP came to office, with recorded crime falling 42%. Banffshire & Buchan Coast SNP MSP Stewart Stevenson has highlighted new analysis from the UK Parliament showing that 22 new Lords were appointed between January and December 2018, bringing the number of peers in the unelected second chamber to nearly 800 - far exceeding the elected House of Commons chamber of 650 Members and making the Lords the world’s largest legislative body second only to China’s ‘People’s Congress’. Mr Stevenson branded the House of Lords as 'absolutely absurd' and an affront to democracy. Under Parliamentary rules, peers are able to claim an allowance of £300 per day without saying a word in debates. At the beginning of 2018, during the reading of the EU Withdrawal Bill, unelected peers had the power to amend the Bill, including aspects on Scotland’s devolution settlement, whilst the will of the Scottish Parliament was ignored. On principle, the SNP do not take seats in the House of Lords and have consistently called on the unelected chamber to be abolished. “The SNP has never, and will never, accept seats in the unelected House of Lords. Ending the absurdity of new Lords ‘a leaping’ from party positions to peerages would be a start – but it’s long past time that the House of Lords was abolished and this whole farce ends for good. “Last year, figures showed that each peer costs the taxpayer £83,000 per year and since then, no less than 22 new Lords have been stuffed into the House. Whilst many households and families across the UK spend the festive season worrying how to pay their food and fuel bills, unelected peers enjoy a £300 tax-free daily allowance for as little as 45 minutes attendance. Scottish families are paying the price of the Tories’ Brexit chaos after it was revealed that the price of Christmas dinner has risen by a massive 6 per cent since last year. The UK’s cheapest traditional Christmas dinner, including turkey, vegetables and Christmas pudding, will cost 6 per cent more than last year, with manufacturers, businesses and consumers blaming the steep price rise on Brexit uncertainty and the instability of the pound. Analysis by Good Housekeeping magazine reports that the price of turkey is up by 10.5 per cent, and Brussels sprouts are 10.7 per cent more expensive than last year. Christmas pudding is the item that rose by the most since last Christmas – it went up by 17 per cent from £3 to £3.50. The Trussell Trust recently warned that more people than ever are expected to use foodbanks this Christmas, with the minimum five week wait for payment for those moving on to the controversial new benefits scheme, coupled with colder weather, leaving families unable to cover the basic costs of living such as bills, food and other essentials. “Christmas is supposed to be a joyous time of year, but sharp inflation and rising costs are causing concern for businesses and consumers across the country – especially at a time when people tend to spend more money than usual. “With food prices having risen significantly in recent years, and more people than ever before being forced to use food banks, the harmful effects of Tory austerity, stagnant wages, and shambolic Brexit negotiations are being well and truly felt this Christmas. 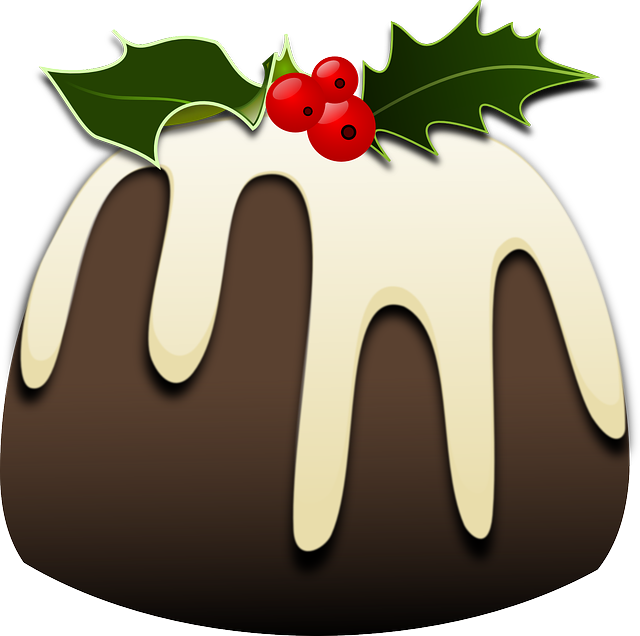 “For many families, the cost of Christmas can be challenging enough without having to foot the bill for price hikes on turkey, sprouts and Christmas puds. Banffshire & Buchan Coast MSP Stewart Stevenson has paid a visit to Cornerstone at Peterhead, where he met with Scott Baxter, Branch Leader. Cornerstone is a Scottish charity that operates across Scotland to provide valuable care and support for adults, children and young people with disabilities and other support needs. 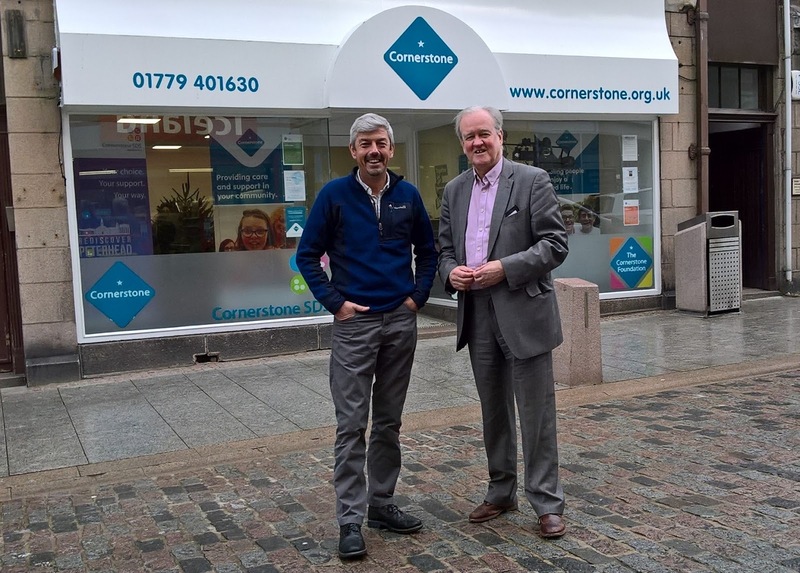 During his visit to the centre, the MSP was briefed on the wide range of services that Cornerstone provides locally from its offices at 28 Marischal Street, Peterhead, and from its outreach facilities in almost every sizeable town and village in the area. “I was very interested in hearing of the work being done by Cornerstone, both on its own, and working closely in partnership with other agencies and organisations throughout Scotland. “My visit also gave me the opportunity to discuss a number of issues relating to my own constituency, and learn of the many ways in which Cornerstone can assist and support the more vulnerable sectors of our society in meeting the challenges which they face. I was interested to hear that the organisation is looking to play a greater role in the area, and will be employing a further six staff in the New Year to provide support from various projects in the harbour area. “I was also extremely interested to hear that Cornerstone is exploring a new approach to working through ‘self-organising teams’, which should create greater capacity at the sharp end. It also reduces costs by avoiding the costs of ‘top-heavy’ management. Banffshire and Buchan Coast MSP Stewart Stevenson is encouraging constituents who are eligible for a free flu vaccination to take up the offer as soon as possible, in order to protect themselves and those around them from the virus. The Scottish Government offers free flu vaccinations to all eligible adults and children - including primary school children, pregnant women, over-65s and those who suffer from health conditions such as asthma, heart conditions, and diabetes. This year, a further £10million was allocated to NHS boards across Scotland to help cope with added health pressures, such as the flu vaccination, over the winter months. NHS Grampian received an extra £928,022 which has allowed the health board to prepare for festive illnesses, bank holidays, focus on better use of community pharmacies and give more support to direct people to the best service for them. “Last year was a particularly bad season for flu, which is why it’s so important to take up the offer of a free flu jab. It’s a quick and painless way to protect yourself and others around you from the virus. “With less than a week until Christmas, I’m urging all those eligible who haven’t done so yet to visit their GP and get their flu vaccination. Banffshire and Buchan Coast MSP Stewart Stevenson has encouraged members of the public to help those in need in their local community this Christmas – after it was revealed that more than 230,000 Scots children are living in poverty. Charities and trusts across the UK have warned that they are ‘preparing for the worst’ this Christmas, as the hardship caused by the six-week wait for Universal Credit payments comes into effect and those suffering under the new welfare system struggle to cope with Christmas costs. This year has seen foodbank use rise to its highest-ever recorded level – with figures showing a 15% increase in Scottish foodbank use since 2017. In Aberdeenshire, foodbanks have seen a rise in use of 3%. “It’s important, as we enjoy Christmas, to remember those in need. “Many of the issues people face year-round, such as homelessness or food poverty, can be worse over winter as temperatures drop and families face pressure to meet added costs over Christmas. “The rollout of Universal Credit, which has been devastating for families across Aberdeenshire, has left many people worried about how they will cover the cost of Christmas. “Even a small donation or act of kindness can make a big difference to someone over Christmas. Banffshire and Buchan Coast MSP Stewart Stevenson has welcomed an increase in Scottish Government funding of more than£13million to Aberdeenshire Council. The cash-boost will mean a boost for day-to-day spending on essential public services and an increase of £13.1million on the local authority’s spending budget. The budget saw Finance Secretary Derek Mackay announce a total funding package amounting to £11.1 billion for local government. Despite a £2 billion reduction in real terms to Scotland’s block grant over the last decade, the 2019/20 budget provides local authorities with a real term increase in overall funding of over £210 million. “People across Aberdeenshire will welcome this significant investment in their local services. “Despite continued Tory cuts to Scotland’s resource budget, every local authority in Scotland has seen their funding increase in this year’s budget. Banffshire & Buchan Coast MSP Stewart Stevenson has urged the UK Government to learn from the Scottish experience of being excluded from EU fisheries negotiations yet still being able to exert influence when it comes to 2019’s round of negotiations. “I did a quick sum before the debate: I think that this is my 11th or 12th speech on fisheries negotiations since becoming a member. Each year’s negotiations have their own individual tempo and issues. The enduring feature is that the fishermen’s representatives, whether the SFF, the Scottish White Fish Producers Association or others, do not support any political party. In fact, they want all of us to be their allies in the fisheries negotiations and throughout the year. I am certainly up for that. 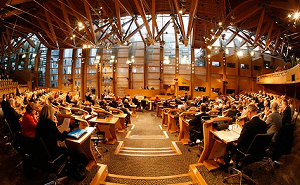 “I first attended a fisheries council as a backbencher with our shadow fisheries minister, Richard Lochhead, in 2002. The commissioner at the time was Franz Fischler, who is from Austria, which is—and this perfectly illustrates the issue—a country that has no coast whatsoever and no interest in the common fisheries policy. We met his assistant and adviser, Maja Kirchner, who was a lawyer, not a fishing scientist or a fishing person. That, too, neatly captures the problems with the way that the EU deals with fishing. “I remind members that I brought the first and, so far, only debate that we have had in the Parliament on the SFF’s sea of opportunity, which received support from across the chamber. We do not need to argue about whether we agree about the sea of opportunity: we clearly do, and we should not create false barriers to suggest otherwise. “Fishermen are certainly hunters, but they are also conservationists, because they know that, if they do not leave fish in the sea this year, there will be none to hunt next year, and none for their sons, their grandsons and their communities to hunt in future. We should listen to our fishermen. “In the form in which it has come from Europe, the landing obligation has presented a substantial problem that has been referred to already. In the briefing that it sent me, the SFF refers to choke species, which is a big issue that rightly comes up at every single meeting of the North-east Fisheries Development Partnership, whose meetings I attend almost all of—I have missed one or two in the past 10 years. North-East MSPs have welcomed a £37million cash injection for NHS Grampian in the Scottish Government’s Budget announcement. The move means a funding boost of 4.05% for services across the region and comes after Finance Secretary Derek Mackay said total health and care investment would be increased to £729million. Aberdeenshire East MSP Gillian Martin and Banffshire and Buchan Coast MSP Stewart Stevenson said it was “excellent” news for the North-East. It comes as the Finance Secretary warned the risk Brexit plays to this investment, with the potential for the Scottish Government to be forced to review the budget should the UK face a ‘No Deal’ scenario. “This is vital investment with NHS Grampian receiving the second highest award in Scotland in the budget. “This will provide support for vital services which builds on investment already received including the trauma centre in Aberdeen. “This is significant investment in our local NHS, with a real-term increase in spending. As Westminster descends into deeper chaos the SNP is getting on with the day job investing in schools, infrastructure and health. Banffshire and Buchan Coast MSP Stewart Stevenson made the comments as the Brexit deal is postponed and the Tory party continues to fall ever deeper into disarray. Unemployment in Scotland has fallen to 3.7% - the lowest rate on record. It also means that Scotland has the lowest unemployment rate in the UK. Meanwhile, more affordable homes are also being built across the country, with more than 80,000 homes delivered since the SNP took office in 2007. Per head of population, 50% more affordable homes and more than five times as many social rented properties exist in Scotland compared to England. On top of the Baby Box, which provides essential items for the earliest stages in life and is available to every child born in Scotland, we’re now accepting applications for the Best Start Grant. These pay-outs are available to mothers who are past 24 weeks in their pregnancy, or have babies under 6 months, and receive welfare benefits. “The Scottish Government is working hard across a broad spectrum of policy matters to better the lives of the Scottish people and those living in the North-East. “From taking bold steps to tackle homelessness with £370,000 of extra funding to support those facing rough sleeping. “Investment to help parents and carers give babies the best start in life from the baby box to funding to help support low-income families. “We’re supporting innovation in world-class research and innovation at our universities and pledging to keep university education free. “We’ve also just signed up to the Bonn Challenge, which aims to regenerate 250million hectares of deforested and degraded landscapes by 2030. Stevenson Welcomes CCS Report Hailing "Rejuvenation"
Banffshire and Buchan Coast MSP Stewart Stevenson has welcomed a report which hails a “rejuvenation” of European interest in CCS (Carbon, Capture and Storage) technology in the North-East of Scotland. The Global CCS Institute made the comments as several projects take place across Europe which includes carbon capture storage options in the North Sea. It includes the Acorn project at St Fergus near Peterhead which has received funding from both the UK and Scottish Governments. Acorn is a demonstrator project which aims to scale up, storing CO2 under the North Sea with the use of oil and gas infrastructure. “CCS has enjoyed a revival in Europe, where its prowess as an industrial mitigation technology has been widely recognised. “The Acorn Project Is a brilliant way to show off the potential for CCS technology in the North-East of Scotland. “We’ve known of its potential for some time, including previous plans to invest in CCS technology at Peterhead Power Station which were sadly pulled last minute by the UK Government. Parents in the North-East will be eligible for their first Pregnancy and Baby payments ahead of Christmas. Banffshire and Buchan Coast MSP Stewart Stevenson has welcomed the announcement which means families can now apply for the new benefit. It will offer low-income parents or carers £600 for their first child, £100 more than the DWP (Department of Work and Pension) Sure Start Maternity Grant which it replaces. It also provides £300 for all subsequent children – meaning there is no cap on the number of children supported, unlike the current UK Government equivalent. Those eligible who have had another child recently can also apply. “This payment is going to help a lot because having a new-born baby is not cheap. We are both working and don’t qualify for many benefits but still on a low income. “If you are about to or have recently had a baby – I would encourage you to check if you are eligible and apply. “The Best Start Grant is different from the previous UK Government scheme. There is no cap on the number of children it can support, meaning babies born in the last six months who already have a big brother or sister will now be eligible for a payment, and the eligibility and window application have also been increased. Banffshire and Buchan Coast MSP Stewart Stevenson has warned a recent report by the Poverty Truth Commission shows UK Government policies on Universal Credit and the two-child cap will have a negative impact on North-East families. It comes after the body called for the Conservative government to take a more holistic approach to disability and its financial, social and health needs of benefit claimants as well the scrapping of the two-child policy. The report, ‘Stories From The Benefits Front Line Report’ includes first-hand accounts from people affected by the implementation of a number of policies. And figures shows an estimated 200,000 children will be pulled into poverty because of the two-child limit while more than 70,000 families have lost their access to child allowances in tax credits or Universal Credit in the first year of the policy. More than 40,000 families affected are classified as ‘in work’. “As Christmas approaches, there are many families who will be left struggling because of the implementation of Universal Credit. “This report reveals harrowing first-hand accounts of the impact changes to the UK Government have had for families throughout Scotland. “It is a stark warning from the Poverty Truth Commission. 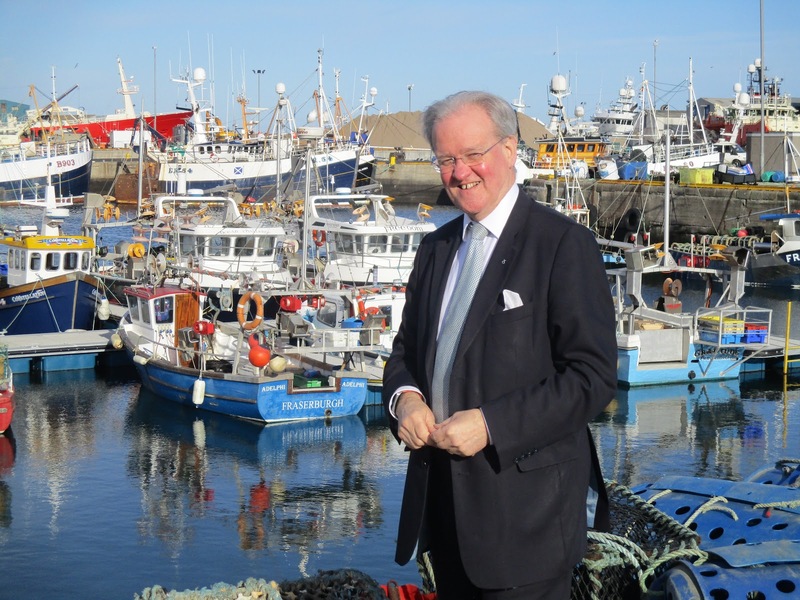 Banffshire and Buchan Coast MSP Stewart Stevenson has welcomed more than £1million of funding for fishery and aquaculture projects in the Aberdeenshire and Moray. The cash-boost includes £152,000 for Downies of Whitehills. The fund aims to help fishermen transition to sustainable fishing, support coastal communities to diversify their economies and finance projects to create jobs. And it also includes £400,000 to support a voluntary safety training project for fishermen in locations across Scotland. “This seventh round of EMFF grants will provide support for projects in the North-East and across Scotland. “Funding like this from the European Union is vital in helping support fishing communities as well as helping the supply chain reach new markets. “I know those who have benefited along the Banffshire and Buchan Coast will be grateful and I welcome any investment which helps boost their important work. Tories Gear up for "Major Betrayal of Scotland"
Speaking to BBC Radio Four this morning, Theresa May outlined that MPs will now be given a choice to either extend the transition period to 2022, breaking clear promises made to Scotland’s fishing industry, or trigger the Northern Ireland backstop, offering special treatment that leaves Scotland at a significant economic disadvantage. Scottish Secretary, David Mundell, and Scottish Tory leader, Ruth Davidson, said in October that any deal which gave Northern Ireland special status would be a red line issue – and threatened to resign on that basis. And only last month, all of Scotland’s 13 Tory MPs penned a letter to the Prime Minister demanding the UK leave the Common Fisheries Policy by 2020. The letter states that anything less would be a “betrayal of Scotland”, adding that any future agreement preventing the UK from independently negotiating access and quota shares would be unsupportable. The pair have now back-tracked on a host previous red-line issues, choosing to ignore fresh calls to resign. “David Mundell and Ruth Davidson could not have been any clearer – they said that Northern Ireland should not be given special treatment and Scotland should be out of the Common Fisheries Policy by 2020. “But today Theresa May has outlined in stark terms that those red lines drawn by her colleagues will completely demolished. “Scotland’s fishing industry is set to be sold out in order to appease right-wing brexiteers who are intent on dragging Scotland out of the EU against its will. “The industry could end up with precisely no gains whatsoever from Brexit, trapped in the Common Fisheries Policy with no voice or a say in negotiations until 2022. The Scottish Parliament has promised to maintain the disability benefits currently available from the Department of Welfare and Pensions (DWP). This move comes after Peter Searle, a DWP senior official, warned MSPs that the roll-out of Universal Credit could result in a “significant number” of people to receive less financial support. Now it has emerged that the Scottish Government has plans to ensure a ‘safe and secure transition of the benefits from the DWP.’ With the timetable and delivery schedule to be announced next year. The assurances of these benefits were confirmed after a question by Banffshire and Buchan Coast MSP Stewart Stevenson, regarding the future status of these benefits. “We are committed to maintaining the level of the disability benefits that are paid to individuals and to raise it annually by at least the rate of inflation. We will also protect disability assistance by ensuring that benefits continue to be non-means tested." “It is a relief to see that the Scottish Government will be maintaining the benefits now provided by the DWP and it is comforting to know that the many disabled people who rely on these benefits need not worry about less financial support in the future.